Restoring the Picket Fence: A TV-free summer! J and I don't have cable (gasp!) and we don't even have an antenna (double gasp!). We aren't cavemen, I promise, our cable bill was getting out of control and we've never had enough oomph to purchase an antenna. However, we are human and enjoy shows like Bones, Castle, How I Met Your Mother and The Mindy Project. During the "school year" we have HuluPlus that we stream through our bluRay player so that we can enjoy some grown-up time after Baby Z goes to sleep. 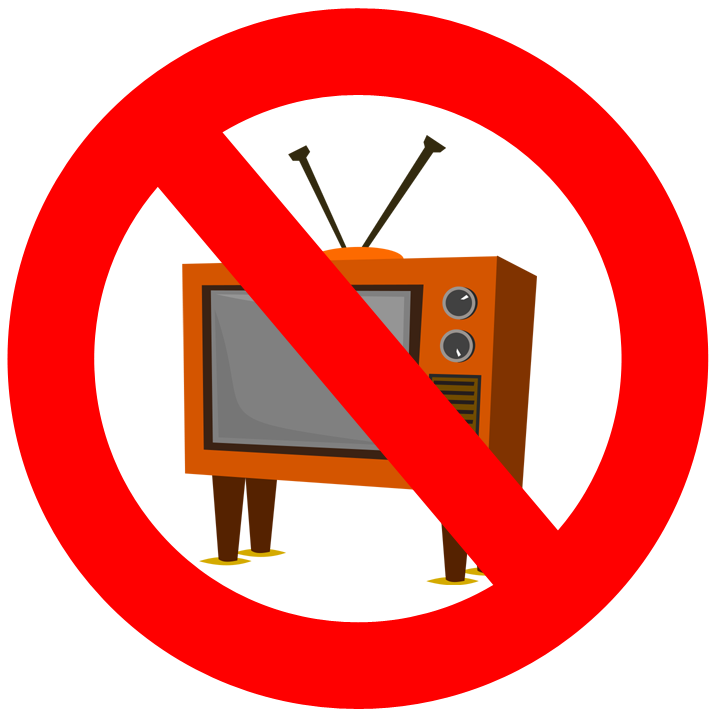 Now that shows are wrapping up for the season, we decided that we are going to have a TV-free summer! The TV is going to be sequestered to the basement so that we aren't tempted to flip it on and let our brains ooze out our ears. Stay tuned (haha, get it?) to see how we tackle our TV-free summer. What would you with an extra hour each day?